Chances are, you’ve heard about it before, heck, you might have even read about it here. In my last post though, our focus was mainly about how your applicants/employees perception of your hiring process affects your overall company branding. 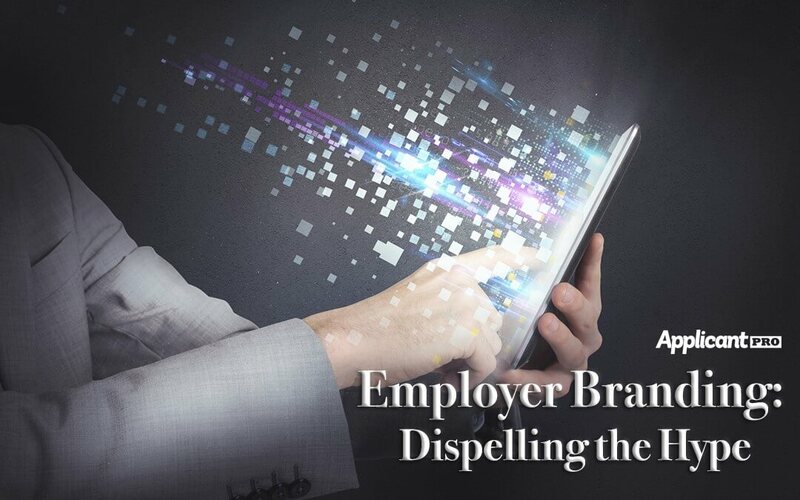 Today, we’re going to take the extremely vague and ambiguous term “Employer Branding,” remove the hype and break down its basis into small, controllable pieces that are specific to you as an HR Professional. Employer Branding is your reputation as an employer. This definition is far less ominous than its presented in SHRM and HR circles. Basically, it’s a way for HR to market the company climate and engage both prospective and current employees. Here are the top three elements you need in order to impart a positive employment outlook for yourself which in turn boosts your company branding since the two are inextricably intertwined. If any department can understand the phrase “very little can overcome an underpaid employee,” it’s HR and sometimes as HR Professionals, one of the most challenging aspects of the job is trying to convince your boss to increase starting pay. Thankfully, the feedback section of Indeed.com and Glassdoor.com creates an arsenal of “proof” to substantiate starting salary’s effect on the quality of your applicant pool and draws qualified job seekers to your open positions. Yes, I’m mentioning this invaluable morsel of knowledge in this post . . . again. And yes, it makes an appearance in 90% of my posts. The reason for this is that it’s the foundation of building a solid workforce. Focus on the strengths of working for your company in the job ad; don’t scare them away with a 1000 word legal job description entitled “Master of the Custodial Arts” (read: Janitor). Potential job candidates want to know what it means to work for your company. Making a difference and feeling satisfied about what you dedicate at least 40 hours of your week to is becoming more and more important to job seekers. So, sell your company in both the job ad and on your company career site to create an influx of quality applicants for your job openings, and then build some intuitive screening questions in a hiring software like ApplicantPro to whittle your pool down to your superstar candidates.